Window World’s windows are made to last, utilizing only the highest-end components and state-of-the-art engineering. Quality is built into every component of our windows maximizing sustainability and ease of use. We are committed to ensuring our customers are confident in operating, maintaining, and resolving any potential concerns that arise with their windows, so we’ve provided the information and videos below. Most importantly, keep in mind we are available to answer any questions that arise! Email: northpugetsound@windowworld.com @ Email Us! 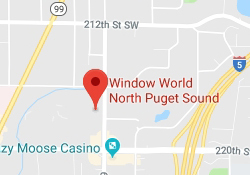 This Window World® Franchise is independently owned and operated by AA Remodeling LLC d/b/a Window World North Puget Sound under license from Window World, Inc.